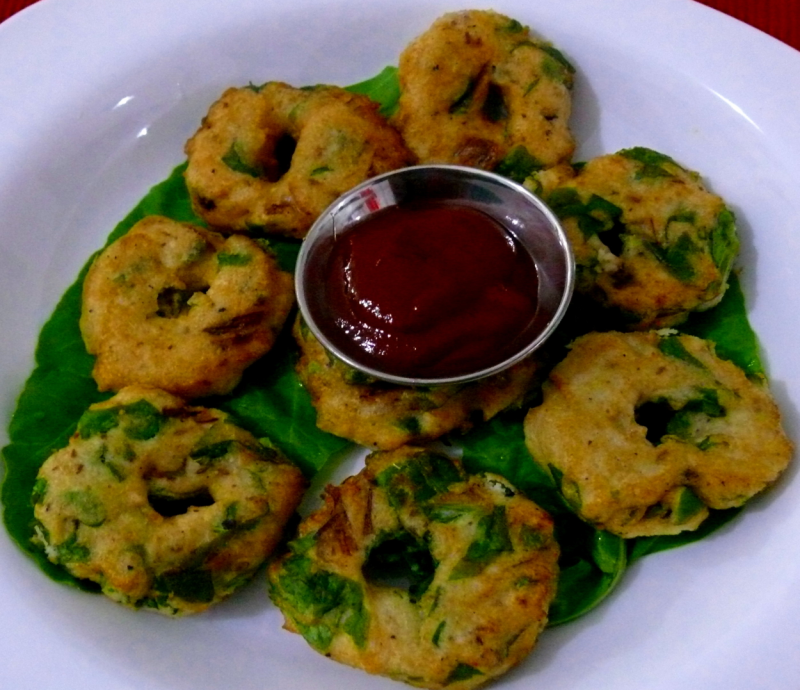 This Palak Urad dhal vadai is tastier and more nutitious than Plain Urad dhal vadai.Try at home taste and then add your comments. 1/2 cup - Urad dhal - soaked for an hour and grind as a flour without adding water. Grind 1/2 cup urad dhal which is soaked for an hour , as a flour without adding water. Take a bowl and add the urad dhal flour,chopped palak leaves ,ground spices,chopped onions,chopped coriander leaves,curry leaves and Salt.Mix it well. Shape dough round with a hole in the centre. Heat oil in a non stick frying pan and shallow fry the vadai on bothsides,till golden brown. When done,Serve it hot with tomatao ketchup or chutney of your choice.